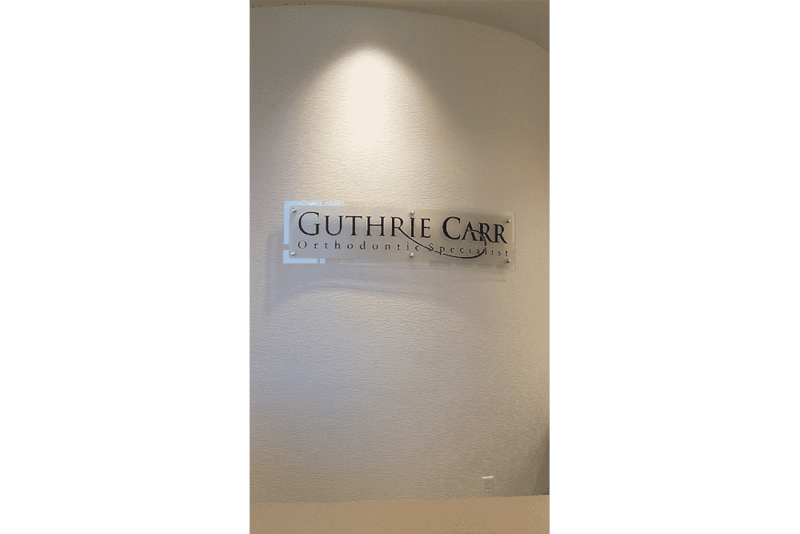 Dr. Guthrie P. Carr is your trusted and experienced orthodontic specialist for braces in Greater Lafayette Indiana, offering outstanding customer service combined with over 25 years of experience. 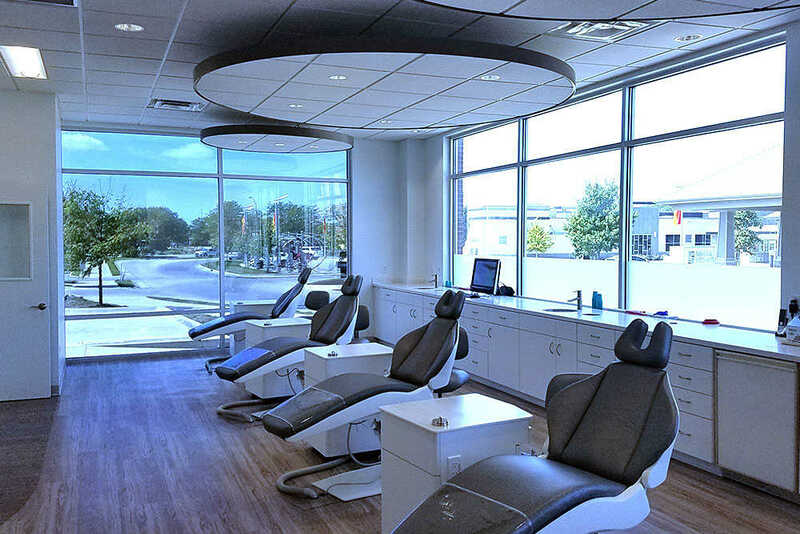 With a patient-focused approach, using advanced 3D technologies, we can customize treatment plans and provide our patients with an exceptional orthodontic experience and results. 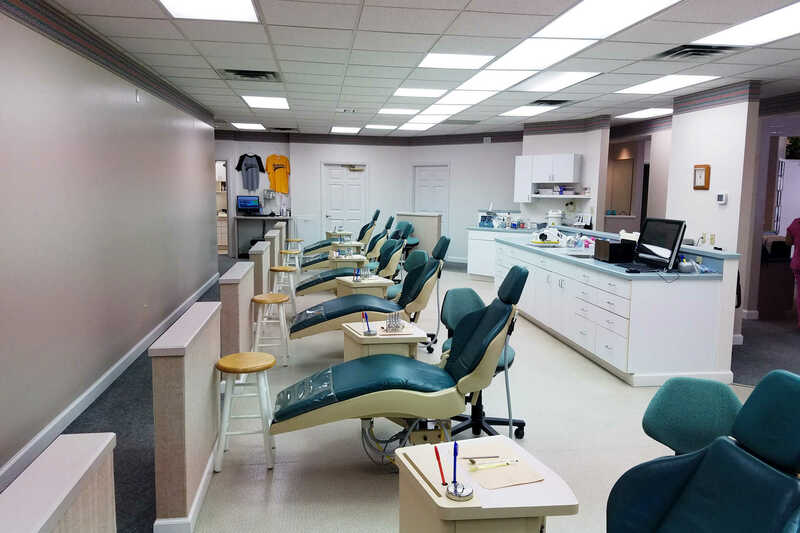 The Carr family has over 100 years of continuous practice in Greater Lafayette. There’s a good chance that Dr. Carr, his father, uncle or grandfather has treated someone in your family. We take that tradition seriously in our relationships with our patients. We value the trust the community has placed in our family over the past 100 years. I love the creativity of problem-solving in orthodontics, and doing that within the wants and needs of our patients and their parents. Each patient has unique treatment goals, and it’s my job to find the solutions that will create a healthy smile for them, in an affordable, timely manner. When I see the changes we make for our patients, and how those changes positively affect their lives, I know we’ve done a good thing. In that, I find every day rewarding. With over 25 years of experience in orthodontics, Dr. Carr is actively engaged in continuing education to bring the most advanced techniques to his practice to benefit his patients. Dr. Carr’s extensive experience is an important part of your treatment plan. All of the clinical staff are certified as Specialized Orthodontic Assistants by the American Association of Orthodontists. 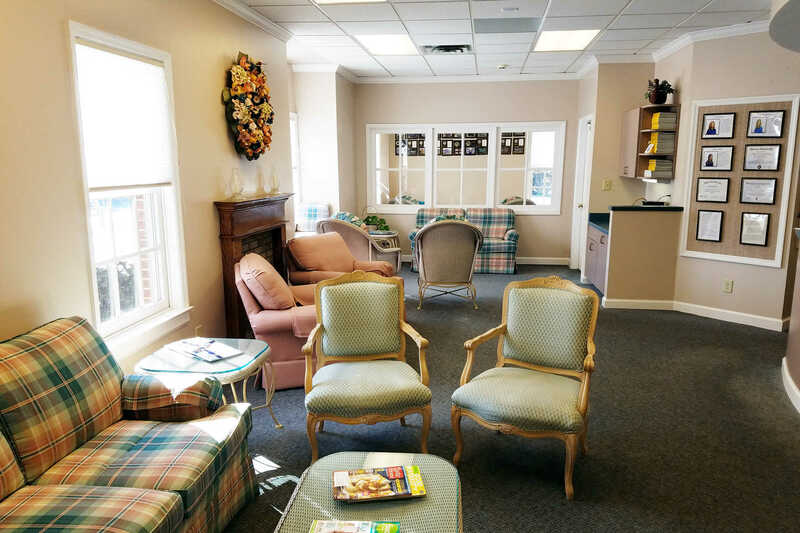 Their knowledge, skill and kind manor will make your treatment feel easy. Our staff is fun and caring. Through the use of technology, Dr. Carr can offer competitive prices, better results and shorter treatment times, which results in a better experience for the patient. Get to the smile you want quickly, easily, and comfortably. 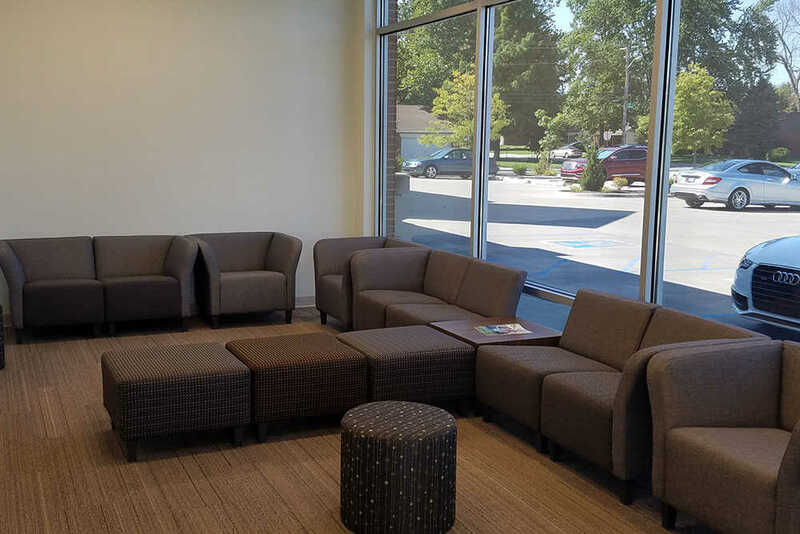 With two offices to serve you, one in Lafayette and one in West Lafayette. 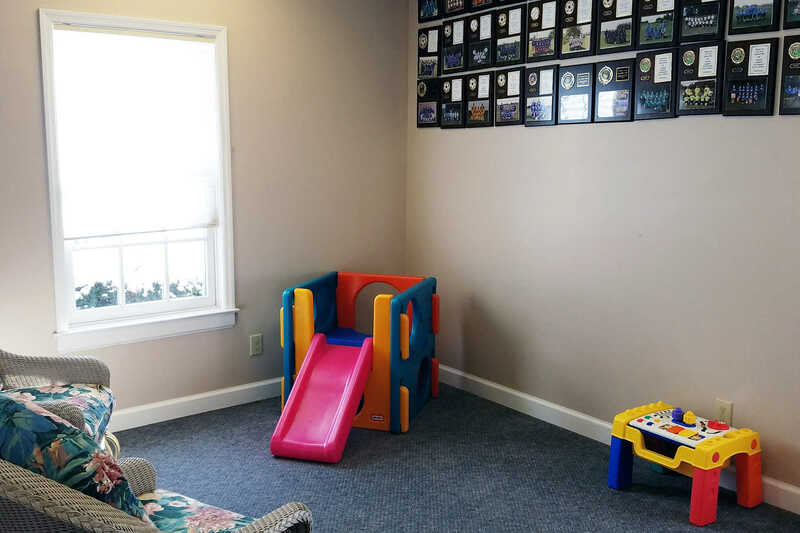 And, we offer after school appointments for routine visits and the complimentary Brace Bus. From school to the orthodontist and back to school all while you are at work. While many offices may charge as much or more for less advanced and precise orthodontic treatment, Dr. Carr will not compromise your care. We accept most insurance plans to reduce your out of pocket expense. 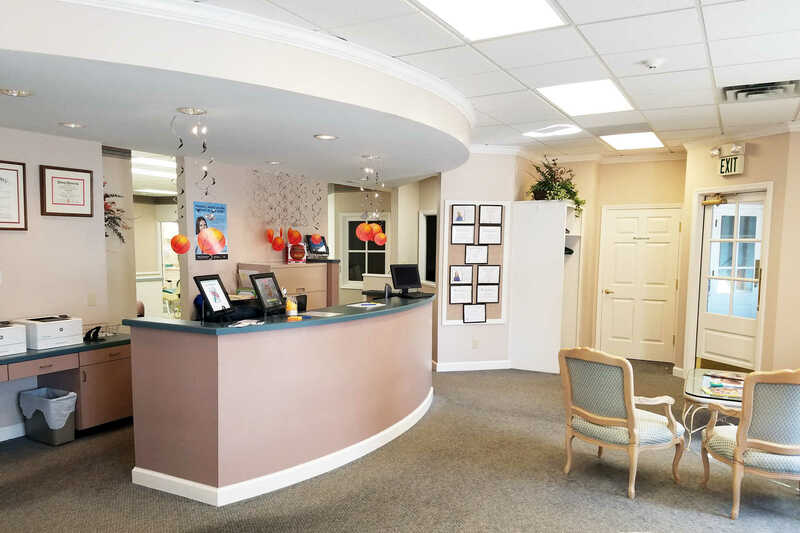 We offer complimentary consultations for all new patients and their parents. This is an opportunity to learn more about us and your orthodontic needs. What are the differences between orthodontist driven Invisalign and general dentist driven Invisalign? First of all the keys to successful treatment are: patient compliance, the proper plans and proper biomechanics. Notice I said plans! Many dentists are accustom to preparing a crown and then taking an impression and sending it off to the lab to be made by a technician. To that end, Invisalign appeals to them; take an impression, send it off to the lab and get back a kit to move the teeth. Simple right? Well maybe not so fast. Let’s consider the differences in the process and why they are important to you. The dentist takes and impression and sends it off to the lab; most orthodontists will not take an impression, but rather obtain a 3D digital scan. This is considered more accurate as it can be refined during the scan to improve the quality (it is also sent in electronically speeding the process) with an impression you get one chance, if there is a bubble or an error, you repeat the impression until all of the teeth are perfect. This does not usually happen so the impression gets sent in to the lab with minor errors, this can affect the fit and performance of the aligners. If your dentist is going to take a traditional impression, that is an indication that they dabble in Invisalign and do not do it on a regular basis. Another way to check your dentist is to use the find an Invisalign provider web page. If your dentist is not listed, then they do not use the product often enough to be listed as a provider. It is critical for the orthodontist not only to determine if the plan is appropriate, but achievable. Regularly, the first proposal from Invisalign will not work in my opinion and requires additional changes. What does that say for plans for patients where the initial plan is accepted from the company without changes? Revisions: most orthodontists know that after the first round of aligners, an additional plan for refinement aligners is necessary. 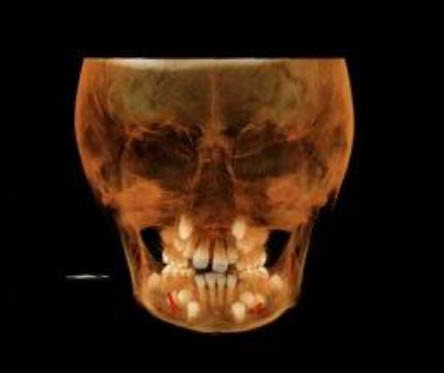 Again, this is where the 3D intraoral scan is helpful. A new scan is obtained and within a few weeks a new plan and new aligners are available to move forward from the initial results. This is common in orthodontics where the orthodontist evaluates what they wanted from their treatment mechanics and what they got and now what is required to move forward toward the goal. The key, as always is understanding the plan and making sure it is realistic (the animation/plan will show anything is possible, it it’s the provider that must determine if it is realistic). Additional technology: I have a 3D dental radiography machine that gives me a 3D x-ray. This is important to determine when and how much expansion is permitted. If you exceed this amount the teeth will be pushed out of the bone causing relapse and an unhealthy situation. In summary I would say that while your dentist can take an impression and get back trays from Invisalign, your experience and thus results will be different from the orthodontist driven treatment. I know you market your practice with the tagline “Tradition, Technology and Experience’. Tell me about that? Well the tradition portion refers to my families’ heritage as dentists in Greater Lafayette. We have over 100 years of continuous practice! 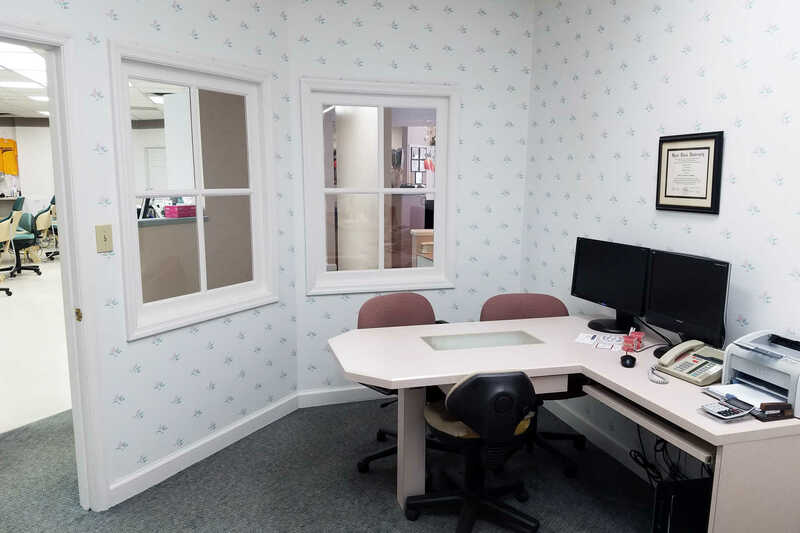 If your family is from greater Lafayette, there is a good chance that I, my father, my uncle or my grandfather has treated someone in your family I take that tradition very seriously in our relationships with our patients. We value the trust the community has placed in our family over the past 100 years. Technology refers to the changes that are available to let orthodontist improve the patient experience. 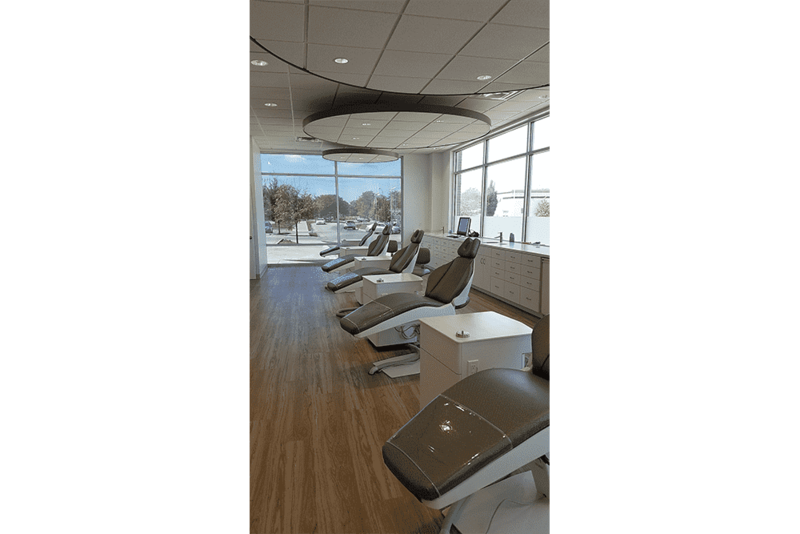 Not every orthodontic practice embraces new technology. Technology can be very expensive, it can disrupt the rhythm of office workflows and it takes time to learn and master. I have invested in newer technologies that provide better information for diagnosis and treatment. This allows for shorter more comfortable treatment and improved results. Firstly, our ultra-low dose ICAT 3D scanner is amazing. It allows me to get a 3D scan of a patient with less exposure than a digital panorex which is the most common orthodontic X-ray. It is not uncommon for me to find information that was not seen on a previous traditional X-ray. I can sublimit this ultra-low dose scan to a third party who will turn it into a dynamic model. This is useful in pretreatment simulations for early treatment expansion, surgery cases, cases that might need restorations or implants when the orthodontic part of the treatment is finished. It is a great learning tool for me and a great communication tool for the patient and their dentist. 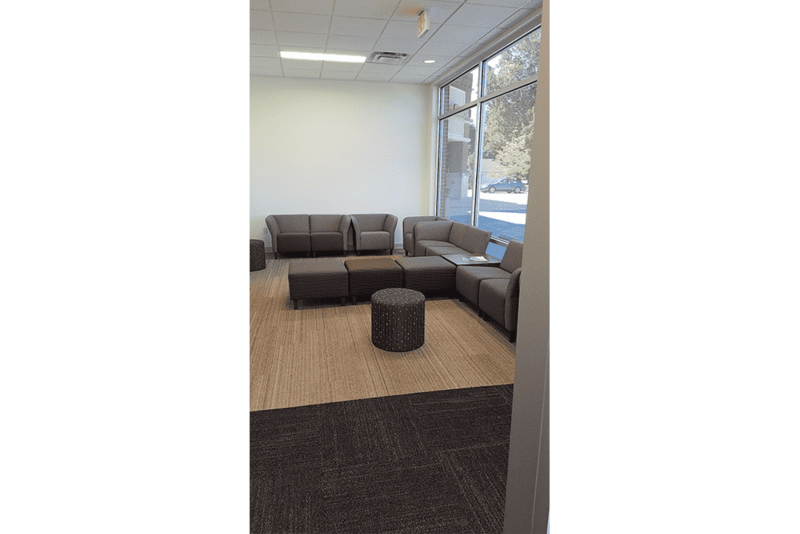 We also offer digital video scanning that replaces traditional impressions. This allows us to send information digitally to labs we work with like Invisalign and Suresmile. You offer Invisalign? Tell me about that? When Invisalign first was introduced, I did not offer it because I did not think the product could deliver on expectations, recently Invisalign has made a lot progress in their implementation of new technologies. I am now confident that Invisalign is a great choice for a variety of problems. I have spent a lot of time in continuing education learning the nuances of their technology and how to best apply it for each individual case. Suresmile is a fantastic technology that allows me to use the 3D scans we take and create a dynamic model of my patients. I can see their teeth, roots, bone, and the braces. I can even link their model to their smile photo. This allows me to simulate the desired final result with more information than is available in conventional orthodontic treatment. From this plan I prescribe custom wires that are bent robotically for to maximize their accuracy. These custom wires allow me to make the simulations come true. After I simulate the final result I can design the final smile using the photo linked to the model. This is very powerful because often the smile is why our patients come to us, the bite and the function is what orthodontists are focused on. With Suresmile I can optimize both. Oh yeah, it also shortens treatment. Patients love that. As an orthodontic specialist I have two years of additional education beyond dental school focused solely orthodontic diagnosis and treatment. I have been in practice for over 25 years. I am actively involved in my professional societies and meetings to learn both the science and the technologies that effect our diagnosis and treatment planning. What else would you tell someone about your orthodontic practice? I have a wonderful staff who are fun and talented and really engaged with our patients and their families in the office. They really make the office environment a great place. We love our patients and I think our patients would say it shows. At the end of the day, our real reward is who we helped. Orthodontics can change lives, particularly in children who gain confidence and smile more after their treatment is complete. Our greatest compliment is the referral of family and friends from our patients. Many patients have chosen to reward us with 5 star reviews. We are gratified by our patient’s referrals and their kind words. My daughter had a great experience at Dr. Carr’s office. She loved everyone there and was always treated kindly and with respect. We never had to wait for any of her appointments~ they were always ready for her! Dr. Carr always explained things thoroughly and made sure we understood different options that were available. 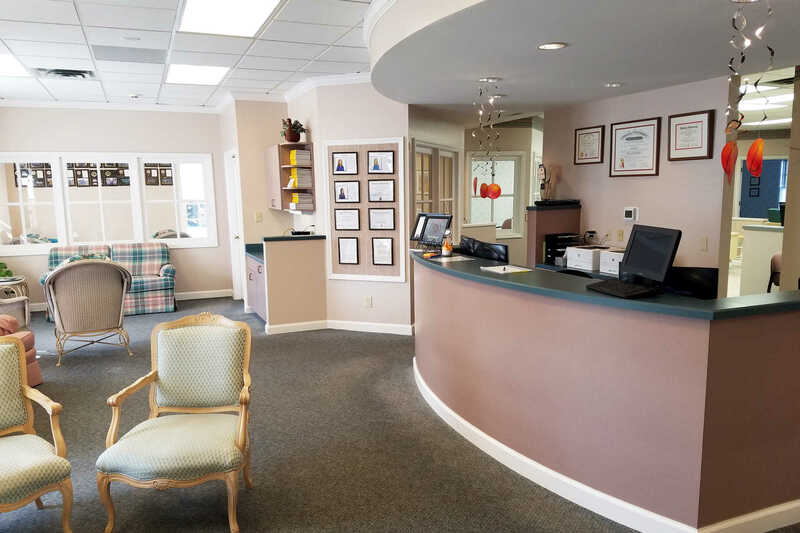 Dr. Carr is not only an extremely knowledgeable orthodontist but one that also develops relationships with his patients that make their visits pleasant and enjoyable. I had a wonderful experience my smile is beautiful Dr. Carr and his staff was very friendly and did a wonderful job on my teeth! Thank you everyone! I have sent both my kids to Dr. Carr for braces and had excellent results. Both went through his Sure Smile system and were done in 14-15 months. The level of care is excellent. The saying you get what you pay for is confirmed in this situation. Your staff is always so polite. I find it refreshing to see an office full of women get along and handle themselves so comfortably with one another. Sara is always a joy to be around!!! And today I met a lady who probably handled my impressions. It says a lot about Dr Carr’s character that 40+ years later she is still in the same spot doing the same thing! My daughter feels comfortable enough to leave me in the waiting room while she has her procedures and check ups. The staff is friendly, professional, and helpful, and I feel good about the investment we’ve made in our daughter’s health! Dr Carr and his entire staff were very professional, very prompt and very informative at each appointment. My sons teeth turned out better than we could have ever imagined. Dr Carr came very highly recommended to us by our dentist and I would definitely recommend Dr Carr to friends and family. Dr. Carr’s office is very organized! Will had a great experience with his braces and they were removed several months early because we used the Sure Smile system. Thank you to Dr. Carr and all of the staff who work there. I recommend Dr. Carr! Dr. Carr and his staff are upbeat and positive and make your visit as smooth as they can. My child loves going in for her checkups and talking to the staff! Does your child have trouble in school? Do they snore? Many bright children experiencing behavioral problems and difficulty in school may have sleep disorders caused by airway issues. Only a sleep doctor can diagnose problems such as pediatric sleep apnea, but when the airway on a child is small it can result in sleep apnea and poor sleep. The airway size can often be improved with expansion of the dental arches allowing the tongue to posture forward and open the airway in the pharynx and improve sleep. Dr. Carr’s ultra low dose 3D scanner will allow him to visualize many hidden problems including an airway analysis in just seconds. Combining this technology with Dr. Carr’s 25 years of experience you will know if your child needs early intervention or can wait until adolescence for a single treatment with braces. The American Association of Orthodontists recommends that every child have their first orthodontic exam by age 7. Our ultra low dose 3D scanner allows us to do an airway analysis for your child in conjunction with our examination. Over the past three years a quiet revolution of digital technology has been changing the way orthodontists diagnose and treat orthodontic patients. ICAT flex is an ultra-low dose three dimensional dental scan. I am able to obtain a 3D image of a patient with less radiation than a single digital panorex radiograph. Often, I can get the image I need with the same exposure that comes from bitewing films (the ones you bite on and get every six months at the dentist). This 3D image offers me insights and views that were previously unobtainable. Suresmile is an amazing technology that combines a low dose 3D dental scan with a 3D intraoral video (in the mouth) of the teeth. I get back a dynamic model of the patient’s jaws, teeth, roots and facial photo. This model allows me to design and simulate the final result including smile design. I can move each individual tooth to its desired final position. When I have the plan finished (all of the teeth positioned where I want them), a computer algorithm calculates the complex bends required to achieve the goal and then soft memory shape wires are bent by a robot to micron precision to achieve these goals. This technology not only speeds up your treatment, but offers more precise results. I am constantly impressed with the additional information I learn about each patient’s case when I am customizing their treatment plan. Suresmile allows me to offer my patients treatment that was not possible before using traditional orthodontics. Anatamodel is another product that lets me use my 3D scan to model complex problems before I make treatment decisions. It is a fantastic communication tool for patients, parents, and fellow dentists. 3D digital intraoral scanner. Our intraoral scanner takes a 3D video of your teeth (like a digital impression) with superb accuracy. This data is combined with our 3D scan in suresmile to obtain the most accurate results. It can also be used to make orthodontic appliances. Thank you for taking the time to visit our blog. 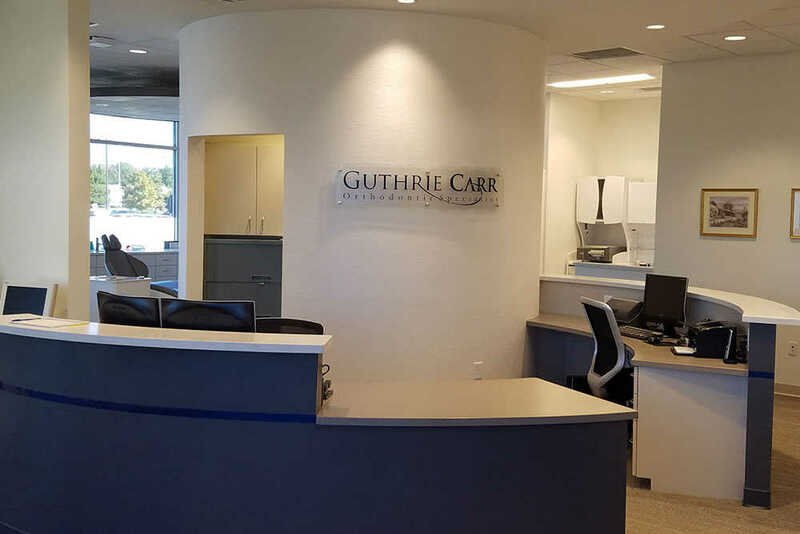 Please check back often for updates on fun and exciting events happening at our office, important and interesting information about our orthodontics, and the latest news about our practice. 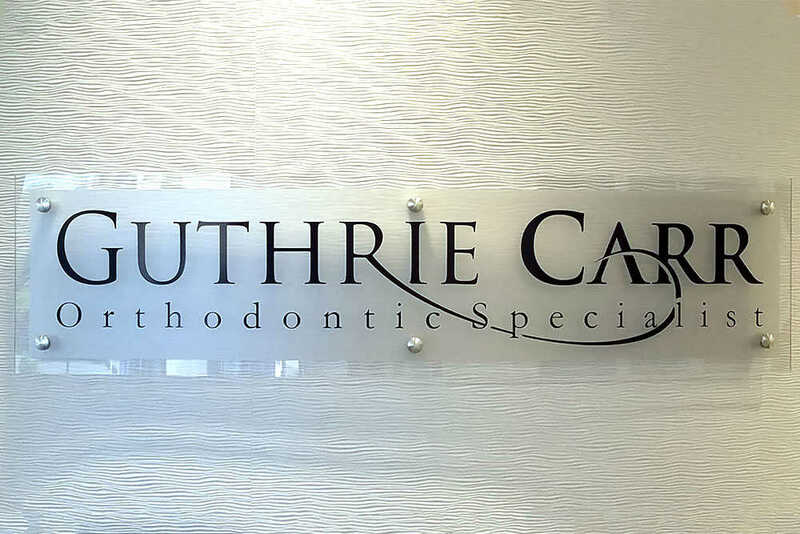 Dr. Carr is recognized in Greater Lafayette as the only SureSmile orthodontist. SureSmile 3D technology allows Dr. Carr to design and prescribe your individual treatment plan through 3D visualization of your end result. SureSmile is engineered to maximize therapeutic efficiency. SureSmile is a fantastic technology that allows Dr. Carr to use the 3D scans we take of our patients and create a dynamic 3D model of his patients. Suresmile patients experience shorter treatment time, fewer visits, less discomfort and higher quality results than in conventional treatment. Many patients experience 33% less treatment time. Dr. Carr will use your dynamic 3D model from SureSmile to visualize your teeth, roots, bone, and the braces. Dr. Carr will link your 3D model to your smile photo. This allows Dr. Carr to simulate and plan your desired final result with more information than is available in conventional orthodontic treatment. While Dr. Carr simulates the final result, he will also design your final smile using the photo linked to the 3D model. From this plan Dr. Carr will prescribe custom memory shape wires that are bent robotically for to maximize their accuracy. These custom wires allow Dr. Carr to make the simulations come true. This is very powerful because often the smile is why our patients come to us, the bite and the function is what orthodontists are focused on. With SureSmile Dr. Carr can optimize both. Using modern 3-D imaging technology, a custom set of aligners is made for you. Every two weeks, you switch to a new aligner. As you switch aligners, your teeth gradually and comfortably shift, resulting in a beautiful smile. Dr. Carr will have you come by their office every six weeks to confirm the progress of your treatment. On average, you will be in treatment for 9 – 15 months and wear 18 – 30 different aligners. However, actual treatment times will depend on your particular case. Our ultra-low dose ICAT 3D scanner is amazing technology. It allows Dr. Carr to get a 3D scan of a patient with less exposure than a digital panorex which is the most common orthodontic X-ray. This scan offers a clear and vivid insight into the current malocclusion at a level far beyond traditional orthodontic 2D radiographs. Diagnosis is the first step in a treatment plan, and this low dose3D scan is ideal for gathering information. It is not uncommon for Dr. Carr to find information that was not seen on a previous traditional X-ray. Dr. Carr can submit this ultra-low dose scan for creation into a dynamic model. This model is useful in pretreatment simulations for early treatment expansion, surgery cases, and cases that might need restorations or implants when the orthodontic part of the treatment. It is a great communication tool for the patient and their dentist. Our digital impression system replaces the uncomfortable, unpleasant-tasting, messy, and sometimes inaccurate, traditional putty impressions. Using the iTero® digital scanner, we video capture a three-dimensional (3D) digital image, or impressions, of your teeth and bite. These impressions will help us formulate a personalized treatment plan that meets your specific orthodontic needs and desires. We can also use them to visually show you your treatment options and help us keep you up-to-date on your treatment progress. After your specific treatment plan has been chosen, the digital impressions are utilized to begin treatment either for planning your custom brace positioning or delivery or Invisalign aligners!